Rolex has just unveiled a raft of new watches at Baselworld 2019, with the GMT Master II Blue and Black, Datejust 36, Yacht-Master and Sea-Dweller receiving a significant facelift. Just like last year, the real hero of the show is the new model added to the GMT-Master range. The new Oystersteel GMT-Master II is equipped with a 24-hour black and blue 'Batman' bezel (pictured above), and we're sure it will prove very popular. 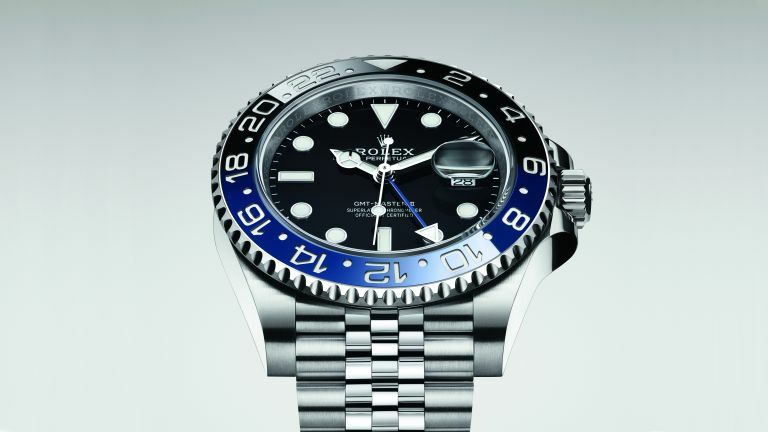 Last year Rolex updated the famous blue and red 'Pepsi' bezel, and this year it's the blue and black 'Batman' that receives the update. Rolex has redesigned the lugs and sides of the Oyster case, and the watch is fitted on a new five-link Jubilee bracelet. The new model is equipped with a new-generation calibre 3285 movement which guarantees a power reserve of approximately 70 hours. Like all Rolex watches, the new 'Batman' GMT-Master II will carry the Superlative Chronometer certification. Also unveiled was a new generation of the Oyster Perpetual Datejust 36 (pictured above) and Day-Date, which are now equipped with the new-generation calibers and come with updated dials and case materials. The Day-date 36, is now equipped with the new-generation calibre 3255 and is available in 18ct yellow, white or Everose gold versions. The updated Sea-Dweller, traditionally a chunky tool-watch used to diving, is now offered for the first time in a yellow Rolesor version. This new version marks the arrival of 18ct yellow gold to the range, and is ideal for those who want a large watch which makes a bold statement. The Yacht-Master is the quintessential sailing watch, and has always featured a 40mm case. Rolex has now introduced a 42mm model, bringing a new size to the range, equipped with new-generation calibre 3235 and created from 18ct white gold, fitted on an Oysterflex bracelet. We love the understated design, and those with larger wrists will be thankful for the larger size. If these updates are a little too understated for you, then maybe the bejewelled Cosmograph Daytona is more your style? Unveiled with a paved black lacquer dial, on which the chronograph counters are intertwined with diamonds and black lacquer, it would certainly look at home on a hip-hop mogul's wrist. Underneath the bold dial is a new-generation calibre 3255 movement. T3 are at Baselworld 2019, bringing you all the latest news from the watch world. Stay tuned.